FEBRERO 12 LIGA RCNGC 1Âº PRUEBA R.C.N.G.C. Â Â Â 26 LIGA RCNGC 2Âº PRUEBA R.C.N.G.C. Â Â 4 REGATA LA PIÍ‘ATITA R.C.N.G.C. 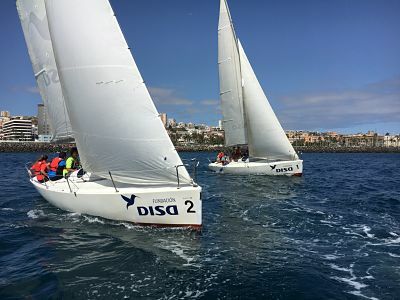 JULIO 16 REGATA DEL CARMEN R.C.N.G.C. Ranking Â 13 y 14 MEMORIAL JOAQUIN BLANCO TORRENT P.D.P.R. Â 26 REGATA SAN GINES R.C.N.A. Ranking 17 MEMORIAL JOSE MARIA RONDON R.C.N.G.C. Ranking 22-25 XXII TROFEO S.A.R. PRINCIPE DE ASTURIAS R.C.N.G.C. Ranking 29 y 30 III TROFEO ARMADA ESPAÍ‘OLA C.N.R.C. NOVIEMBRE 20 ATLANTIC RALLY FOR CRUISERS (ARC) W.C.C. Â 17 TROFEO NAVIDAD F. I.V.G.C.